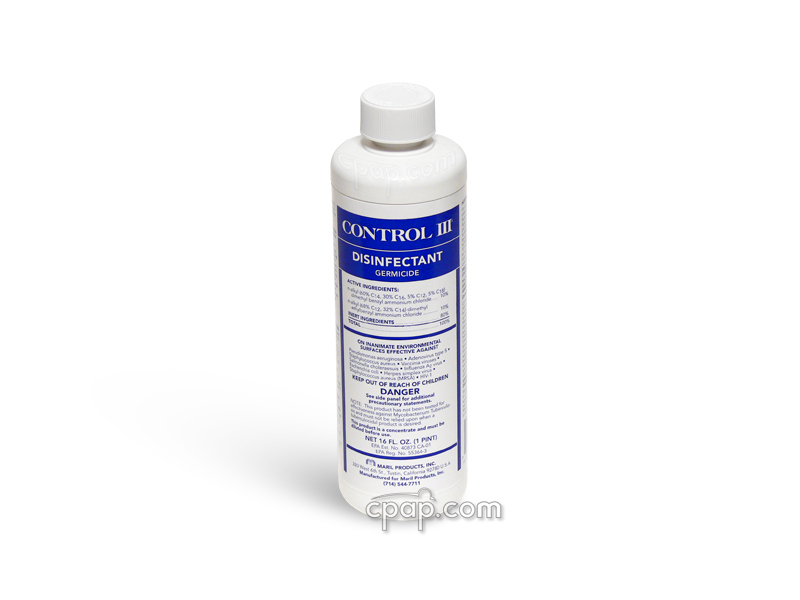 " This is an excellent product, I have been using one for years. They are quiet, and stay in place well while you are sleeping. I highly recomend this product. " 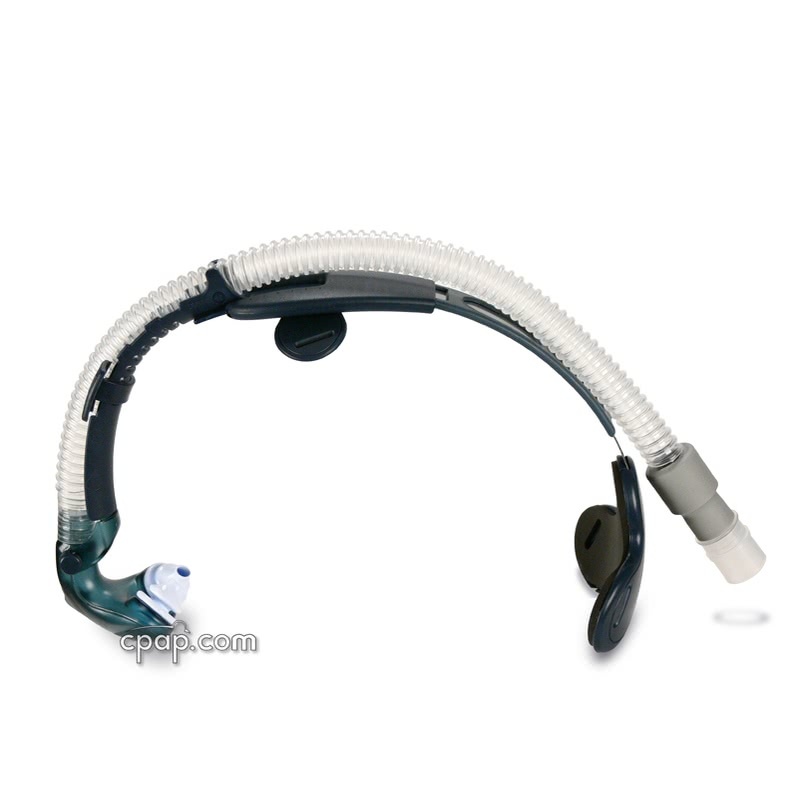 " everything was great i did not have any problems with my order or the shipping part of it i was real happy and i thank all of you very much "
The Breeze SleepGear CPAP Mask with ONE set of Nasal Pillows by Puritan Bennett is a unique design using a cradle to support the short hose and nasal pillow shell. The Breeze is a good option of side sleepers, and does not need straps that cross over the cheeks, omitting red marks. 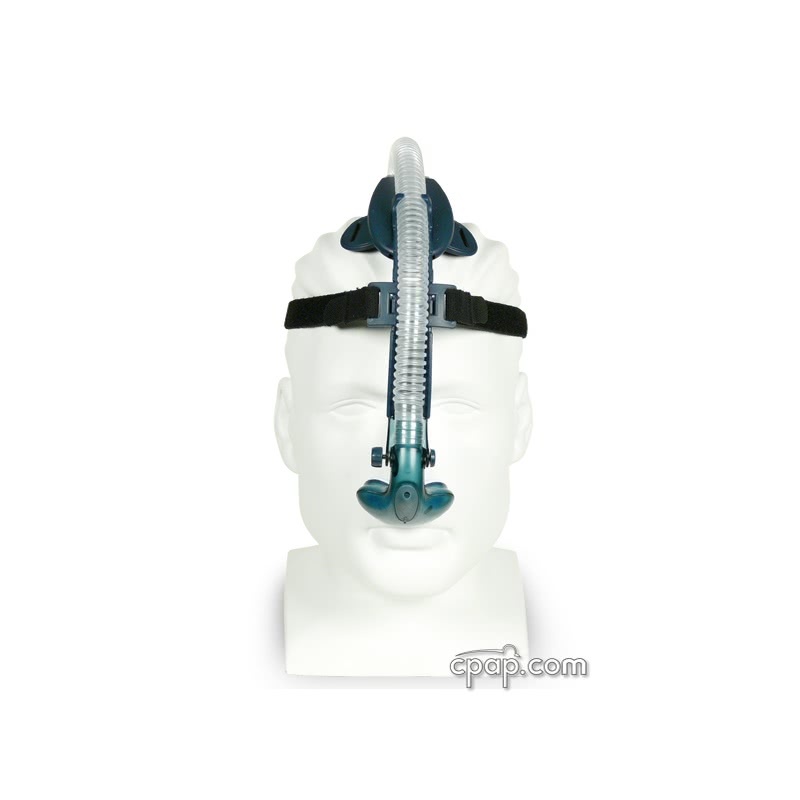 The Breeze SleepGear CPAP Mask with ONE set of Nasal Pillows was one of the first nasal pillow devices. It continues to be very popular with side and stomach sleepers. It really is a Breeze to fit and wear! No straps against the cheeks means any size or shape face will fit easily and comfortably - without red marks the next morning. There are seven sizes of nasal pillows are available. Select the desired size of nasal pillow to be included with the Breeze at the time of placing the order. 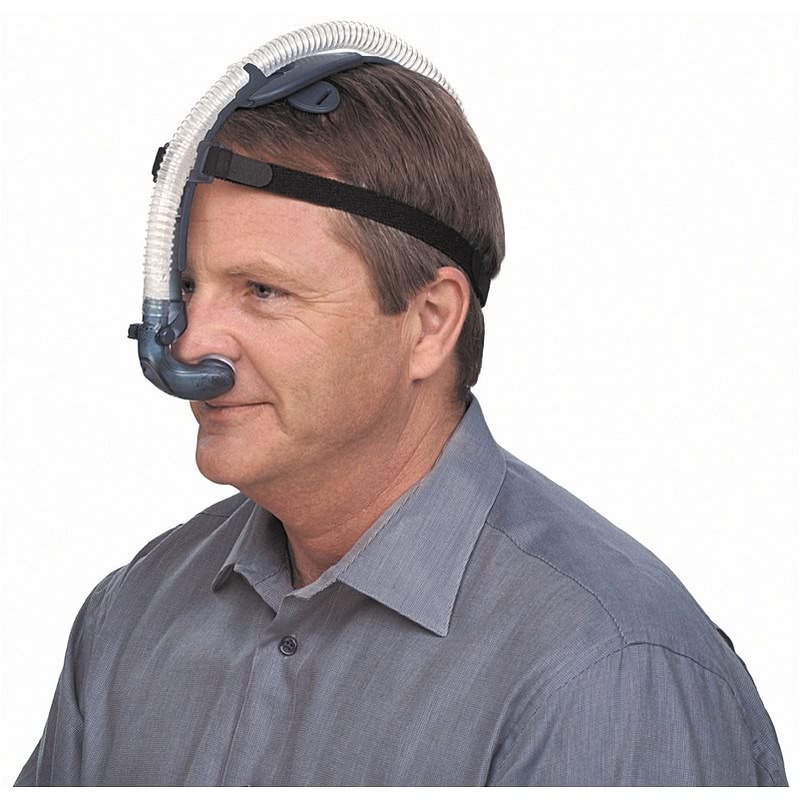 Interested in the Breeze format but prefer a nasal mask over nasal pillows? 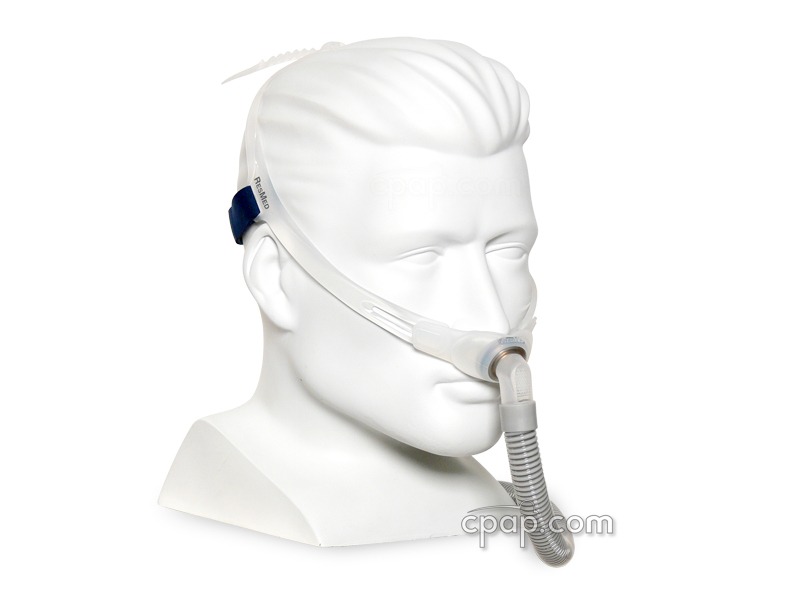 Consider the Breeze Nasal CPAP Mask with Dreamseal Assembly and Headgear. 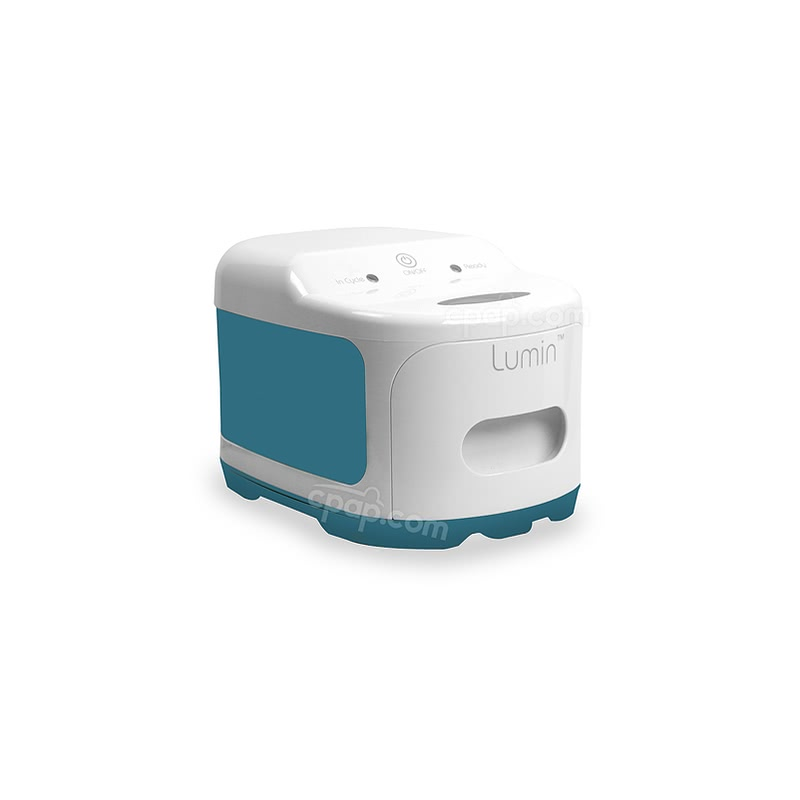 It offers the same design with a nasal cushion. To view the Breeze Dreamseal and read more about it CLICK HERE. The nasal shell can be adjusted to hold the pillows at any angle against the nose. The hose guide has been redesigned and a new material makes it even more durable. A new clip on the hose guide allows the angle of the halo straps to be modified for more stability. Nasal pillows or the DreamSeal nasal cushion are interchangeable on the same headgear. We offer the Breeze at a package price with one, two or three different sizes of nasal pillows. The low price and variety of adjustments and sizes makes this a product we can easily recommend. The Breeze SleepGear swivel adapter has been found to be incompatible with hard cuffed hoses. The hose will simply slip off of the mask connection. We recommend using the FlexiTube Angle Adapter to secure this connection. 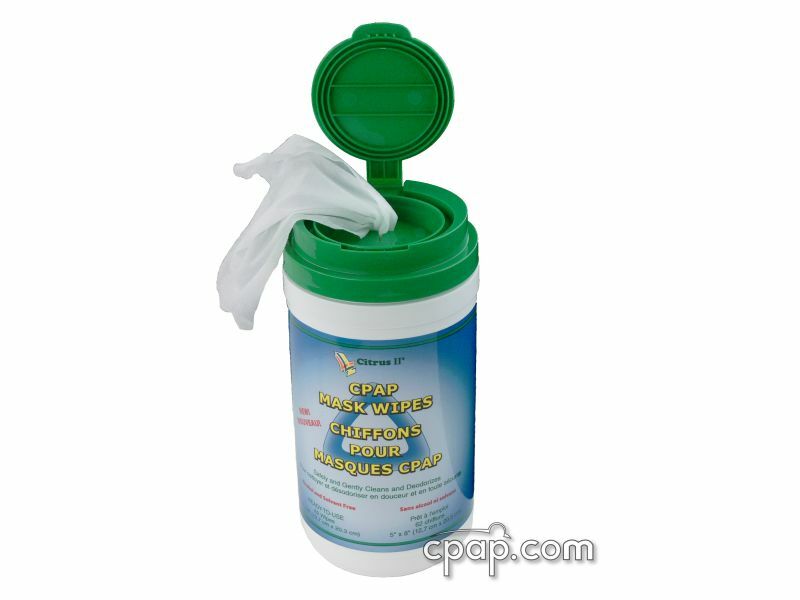 SnuggleCover for Short Tubes: The SnuggleHose Cover for Short Mask Tubes will fit the short tube of the Breeze SleepGear System. Breeze Pillow Frame NOT Compatible with Dreamseal Cushion: The pillow frame will not work with the Dreamseal cushion. 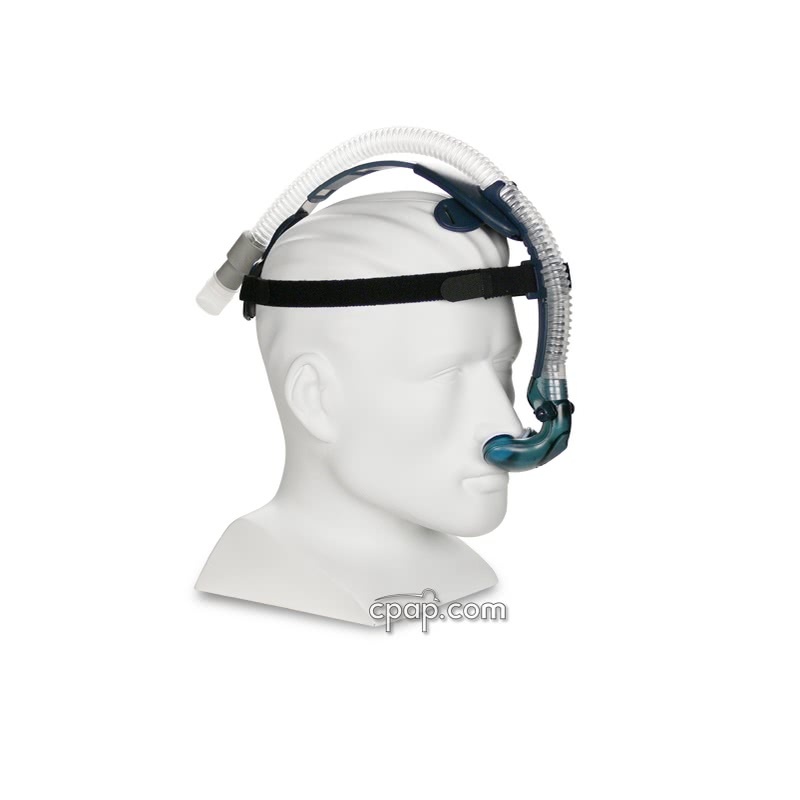 Please order the Breeze Nasal CPAP Mask with Dreamseal Assembly and Headgear if you would like the cushion system. Old & New Style Breeze Systems: All parts of the "old" and "new" Breeze versions are compatible with each other. The shell and pillows are unchanged. The newer version Breeze has a more durable hose guide with adjustable halo strap anchor positions. The foam inside the head cradle is thicker. 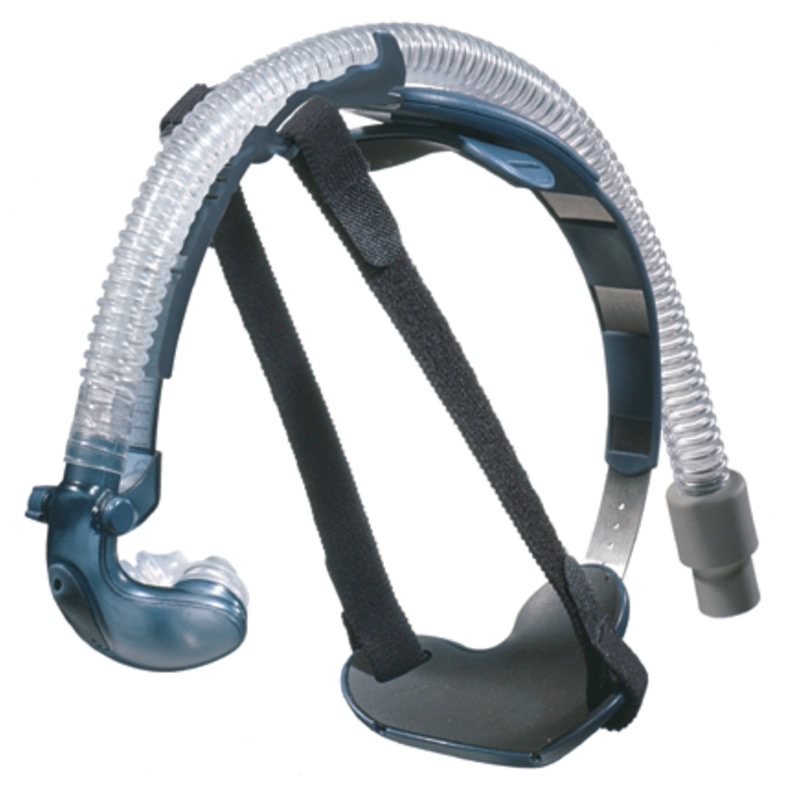 The new tubing has a swivel/hose connector on the CPAP hose end. The Breeze Nasal Pillow mask frame does not have an identifiable size because it offers a universal fit for each of the Breeze nasal pillows. All Breeze Nasal Pillows are interchangeable with the Breeze mask frame. 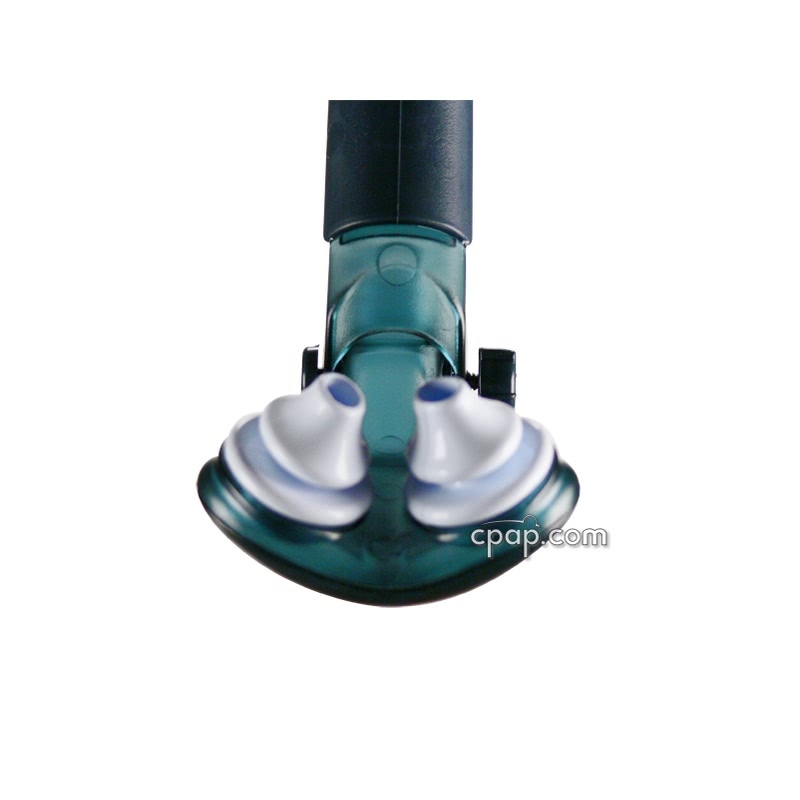 The Breeze Nasal Pillows do not have an identifiable size written on the exterior of the nasal pillow. To find the size of the nasal pillows, go to Breeze Nasal Pillows. A chart representing color and size will be available for comparison. Look at the nasal pillows to determine the color, which will directly correspond to the size given in the chart. 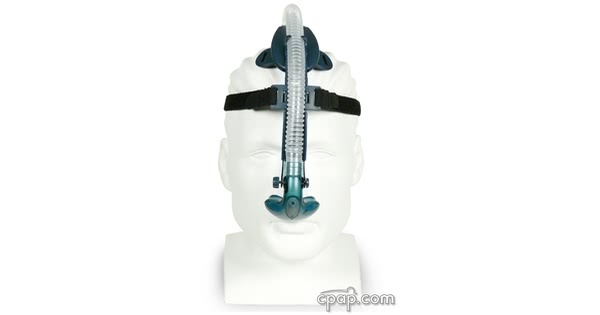 Are the Breeze nasal pillow sizes interchangeable on the mask frame? All Breeze Pillows are interchangeable with the Breeze pillow frame.